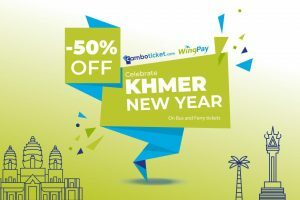 Get $1 discount per ticket when you pay through Wing. Here's how you can get the discount! No Wing Account Yet? Click Apply button to get your Wing account now! Apply Now Book your trip here! 1. 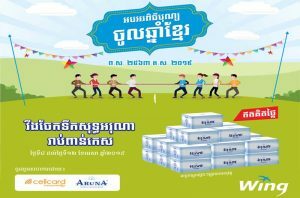 How can customer buy the ticket through Wing Agent, Wing Mobile App, or USSD? A: Customer need to call to Mekong Express for booking seat/s and process payment through Wing Agent, Wing Mobile App or USSD. 2. 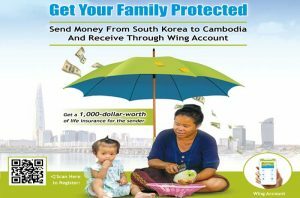 What type of currency that customer could pay, only Khmer or Dollar or both? 3. What is the customer reference number? A: Customer reference number is their telephone number which has 9-10 digits. 4. 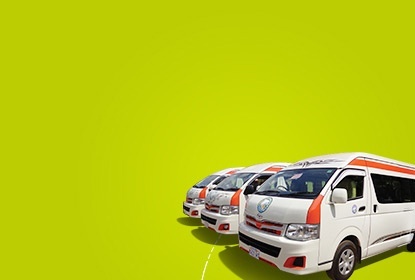 What is the service charge for the customer? A: For customer, there is no service charge at all. 5. Will the customer receive SMS alert if transaction perform via WCX? A: Yes, there will be an SMS notification for successful transaction. 6. 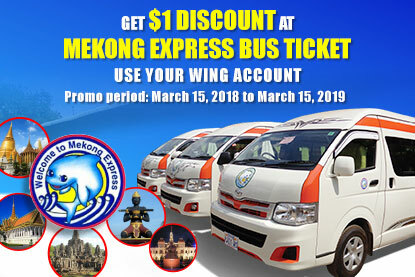 In case, Mekong Express forget reserve the seat for their customer after they call for booking, what should customer do? A: Customer have to inform Mekong Express 1 day in advance before operation hour (5:00PM); it will be valid for 2 weeks but there is no refund.